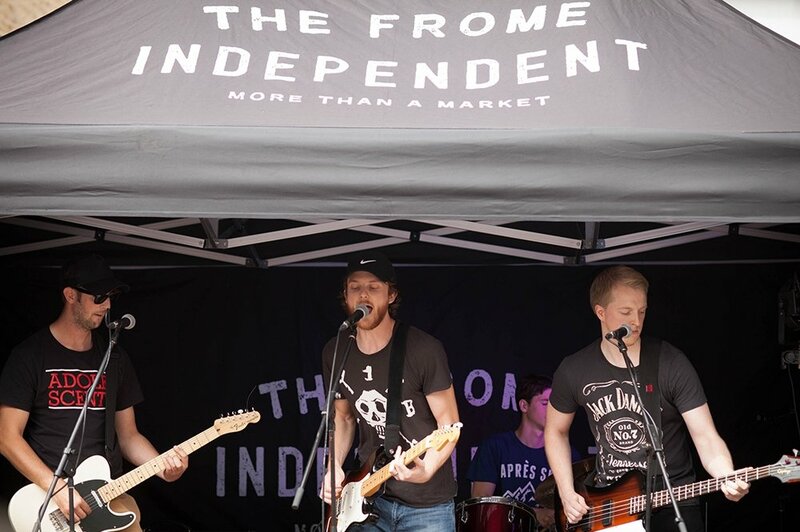 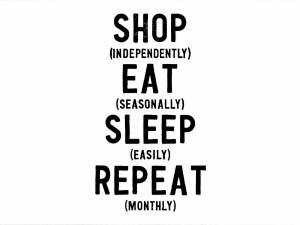 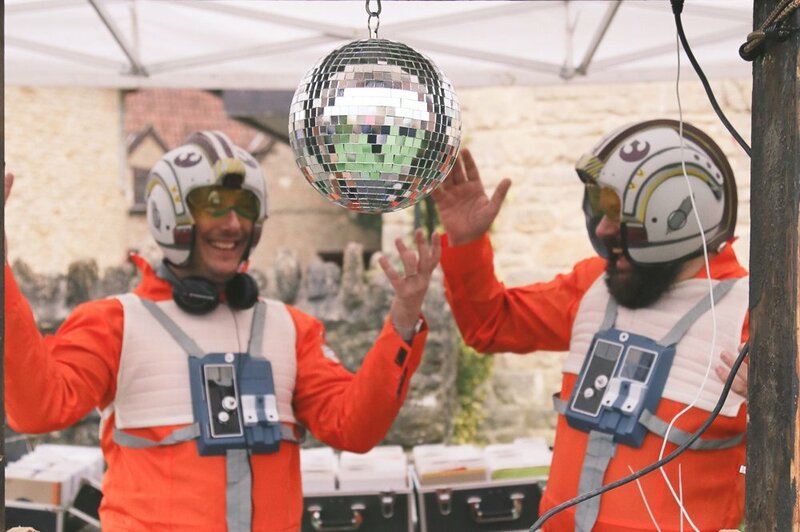 The Frome Independent keeps the best of the summer festival atmosphere going all year round with retro soundtracks and the best new and grass roots acoustic music on the Market Place stage every month. 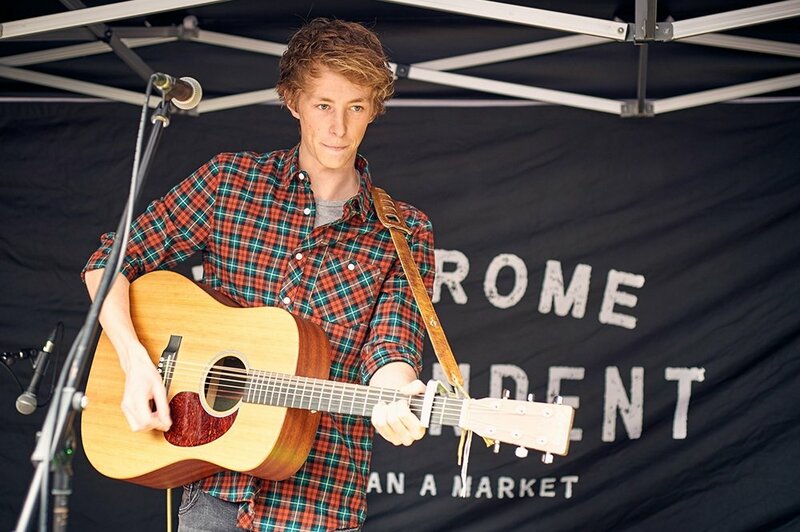 Our music areas provide social spaces to relax and watch the world go by and are the beating heart of the market. 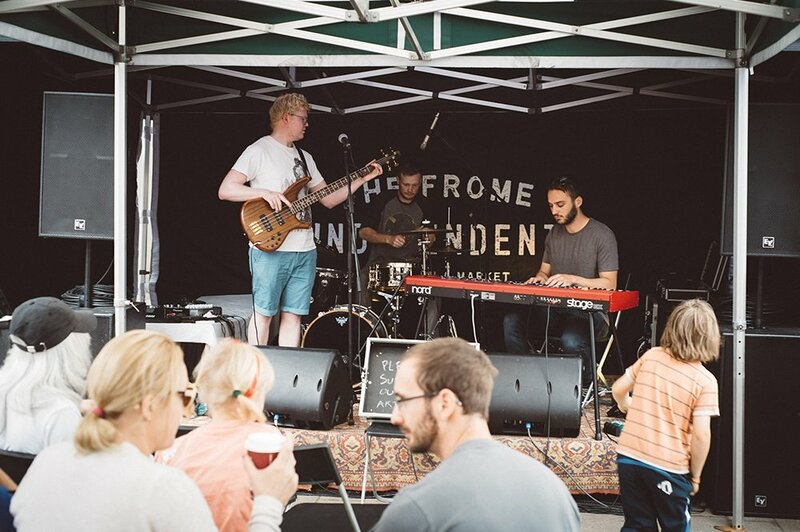 Our friends at Nomad Audio Solutions populate the Market Place Stage with an eclectic programme of homegrown and regional bands and performers each month. 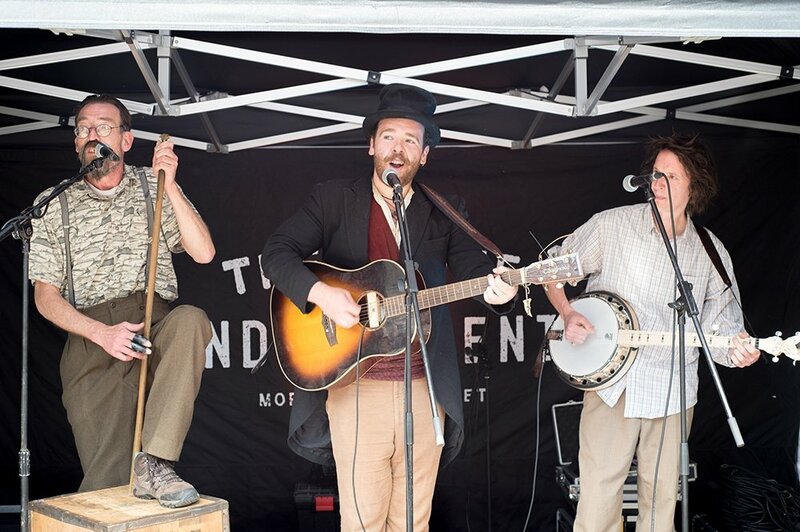 A place to stop and soak up lazy Sunday afternoon vibes and providing your shopping soundtrack, the stage hosts bands of all genres, singer-songwriters and traditional folk musicians throughout market days. 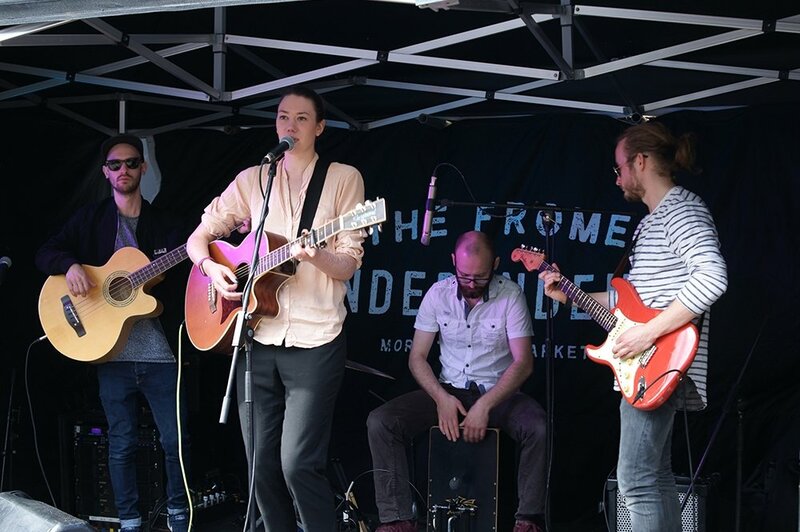 We love welcoming young performers and emerging bands to the stage – remember: you saw them here first so show your appreciation by putting some money in their hats! 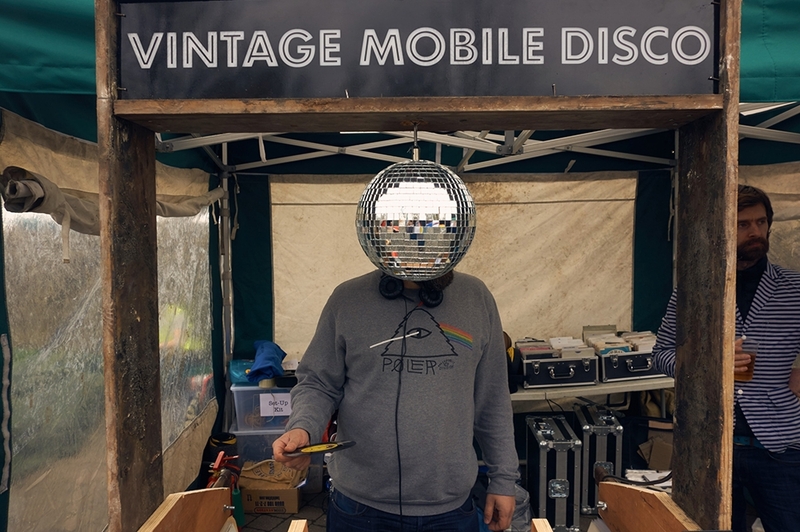 Down in the Flea you’ll find our pop up artificial village green – a utopian expanse of fake grass and festival fun – home to Donna Somerset, Frome’s Vintage Mobile Disco. 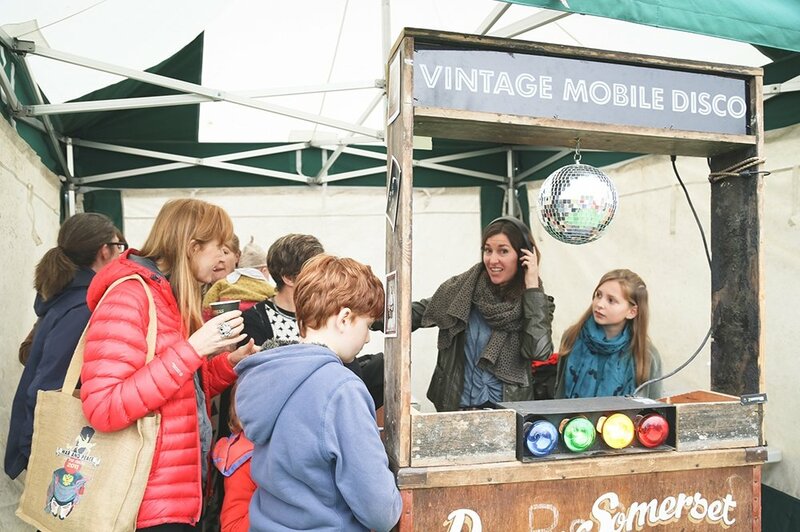 Donna takes the form of a tiny, hand-built sound system, lovingly assembled in an old wooden laundry truck. 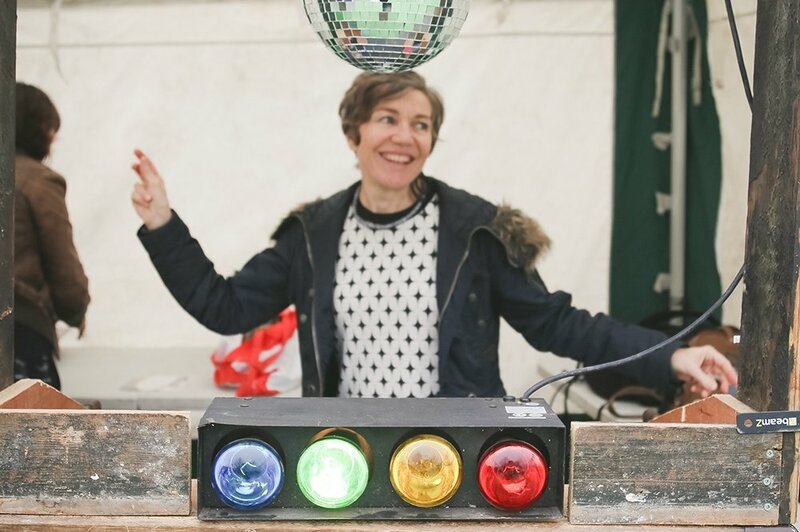 She hosts a rotating programme of local DJs, spinning nostalgic vinyl throughout the day. 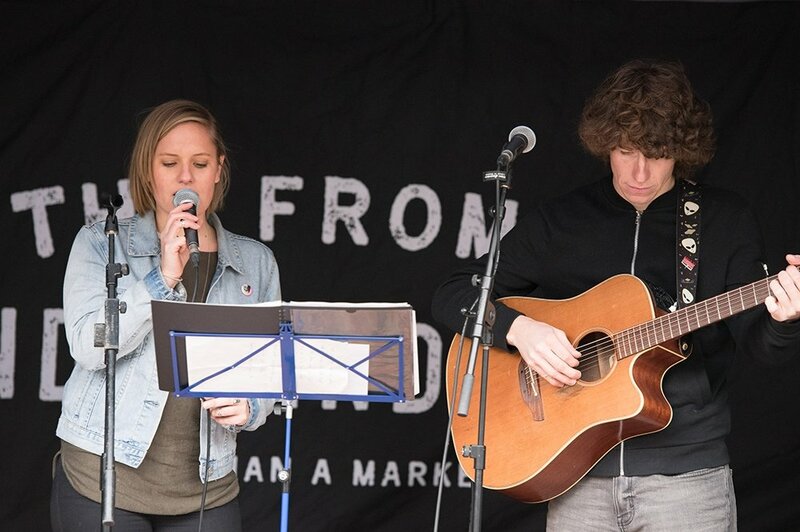 If you’re a performer and would like to apply to play on the Market Place Stage please check the links opposite for more information and the application form.